Lock in a great price for Baywatch Manor Augusta – rated 9.1 by recent guests! Absolutely loved Baywatch Manor. Darren was particularly helpful with places to visit (Hardy Inlet, Leeuwin lighthouse, Granny Pools, Hamelin Bay beach, water wheel). Close to town, butcher and grocery store. Immaculate hostel....had a room to myself which was a nice treat. Dining inside or out with a nice BBQ to use. Kitchen is well stocked and very clean. Garden well tended. Very friendly hosts. Offered to drive us to Cape Leeuwin Lighthouse in the morning. The hostel was very clean and tidy with a very welcoming host. Very clean..great common kitchen with all supplies available. Bed was very comfortable and the shared bathroom was very clean. The owner walked theough to check on guests and shared great information on the local area. Great value accommodation. 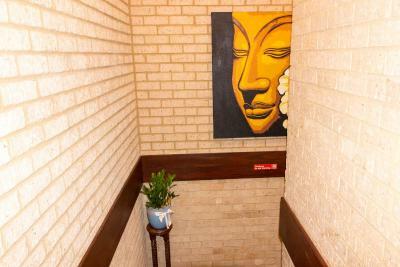 Very clean, comfortable bed, very good kitchen facilities and common areas. Friendly, helpful staff. I'd definitely stay here again. Our host was very friendly, and had lots of suggestions of the things to see and do. I love the exterior and interior designs of the house. The room and bathroom are very comfortable and clean. 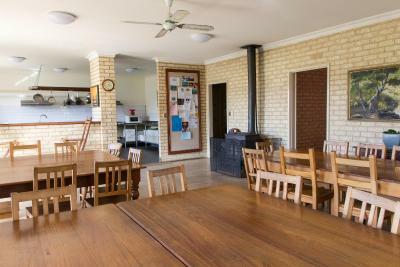 Cooking in the spacious kitchen makes you feel as though you're in 'My Kitchen Rules'. On top of that, the host is very friendly! There was a cozy wood fire in the common room. The open plan kitchen was exceptionally well supplied with cutlery and pots and pans. The rooms were spacious, the mattresses were soft and the shared bathrooms were clean. Baywatch Manor Augusta This rating is a reflection of how the property compares to the industry standard when it comes to price, facilities and services available. It's based on a self-evaluation by the property. Use this rating to help choose your stay! 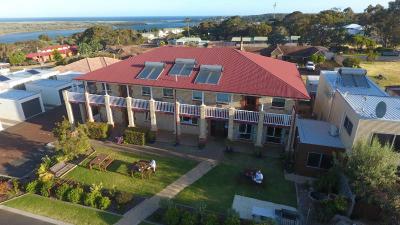 Offering views over the Southern Ocean and Blackwood River, Baywatch Manor Augusta is just 8 minutes' drive to Cape Leeuwin Lighthouse, 10 minutes’ drive to Jewel Cave and Hamlin Bay, and 20 minutes’ drive to the Margaret River wine region. There is a fully equipped shared kitchen, a guest laundry and a BBQ area with a seasonal herb garden. There is also a large dining area and a TV room where you can relax on the comfortable sofas. Rooms either have a private bathroom or access to shared separate male and female bathroom facilities. All rooms include bed linen. Some rooms are wheelchair accessible. There is a separate wheelchair accessible toilet and shower. When would you like to stay at Baywatch Manor Augusta? Located on the ground floor, this room is wheelchair accessible and offers access to shared bathroom facilities. Located on the second floor, this room offers access to shared bathroom facilities. Please note that this room is accessible by stairs only. Located on the second floor, this room has a queen size bed and access to shared bathroom facilities. This room features river or ocean views, a queen size bed, a TV, a small refrigerator and tea and coffee making facilities. Linen and towels are provided. Please note this room is on the second floor. Located on the second floor, this room has 1 queen bed and 1 bunk bed. House Rules Baywatch Manor Augusta takes special requests – add in the next step! Baywatch Manor Augusta accepts these cards and reserves the right to temporarily hold an amount prior to arrival. Please let Baywatch Manor Augusta know your expected arrival time at the time of booking. You can use the Special Requests box when booking, or contact the property using the contact details found on the booking confirmation. Please note that Baywatch Manor Augusta does not accept payments with American Express credit cards. Please inform Baywatch Manor Augusta of your expected arrival time in advance. You can use the Special Requests box when booking, or contact the property directly using the contact details in your confirmation. I stayed in one of the dorm rooms. Very clean all offer and clean kitchen with lots of equipment for use. Free shower gel in the showers and tea and coffee in the kitchen. Several parking spaces available at the site. Local supermarket a few minutes walk away and riverside walk nearby. The beach is further to get to but I managed to watch dolphins playing in the river mouth with my binoculars from the hotel balcony. Best of all, the Manager was very friendly and helpful. Would definitely recommend and come back. 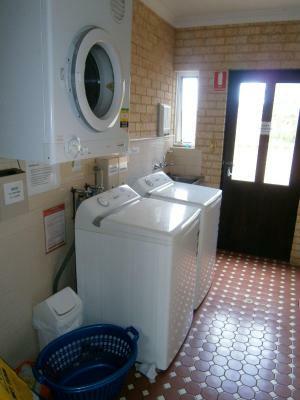 Location, vibe, layout, friendly staff, cleanliness, towels. 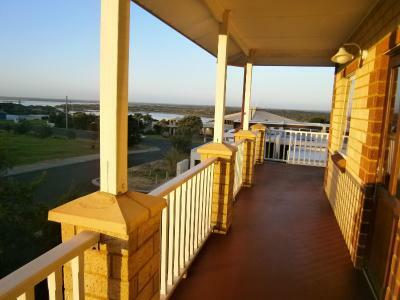 Good location, the room was very clean and had nice views of the river and even the sea. The bed was comfy and we had a great night sleep. The gentleman at the reception was very friendly and gave us some pointers of what to do in the area which were much appreciated. There is a large kitchen area that seems well equipped (though we didn't really use it). The photos don't make justice of the place. It is absolutely clean and cozy. The kitchen is very organized with very good quality stoves. 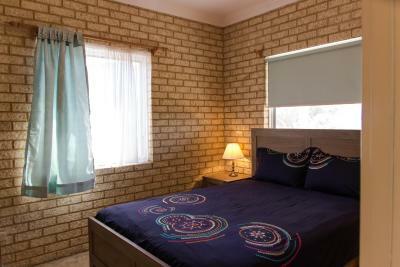 The owner was very welcoming and friendly and the rooms were very spacious and comfortable. TV room was a great extra and the balcony around the rooms has a amazing view of the river and the beach. everything was walking distance and the views in rom 6 was spectacular 😃😍😘 love the place and will highly recommend. 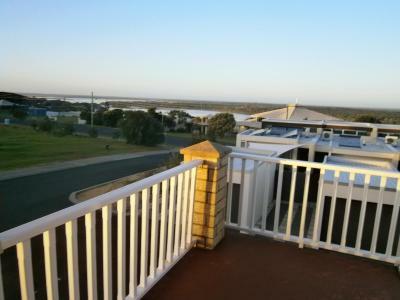 Easy location and river views from first floor. Lovingly decorated room . Very well equipped. Very comfy bed with nice linen and great pillows. Our private queen room had a great view and a very nice bathroom. Very clean facilities & friendly owner. Location of the accomodation was near Cape Leeuwin lighthouse and other shops in Augusta. Been here once and the accomodation was still up to standard. Highly recommend Baywatch Manor Lighthouse!